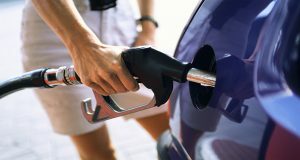 WASHINGTON, D.C. – The Environmental Protection Agency’s plan to finalize fuel economy standards for passenger vehicles through model year 2025 is a big win for consumers, according to comments filed today by Consumers Union, the policy and mobilization arm of Consumer Reports. Consumers who purchase vehicles that meet the 2025 standards will benefit from a significant reduction in fuel expenses, more choice in fuel efficient vehicles and protection from future spikes in gas prices. A recent Consumers Union analysis found that under the 2025 standards, consumers would benefit from net savings of $3,200 per car and $5,700 per truck. The fuel savings are significant enough that, even with continuing low gas prices, the fuel savings would outweigh technology costs starting with the very first car loan payment and continuing after that. If gas prices rise, the savings will be even greater – up to $5,700 per car and $8,200 per truck. Depending on the car-truck vehicle mix, EPA’s latest analysis found that net consumer benefits would total between $60 billion and $100 billion. Fuel economy is the number one attribute vehicle owners would like to see improved, according to a June 2016 survey, conducted by the Consumer Reports National Research Center. Fuel economy beat out purchase price, connectivity, vehicle comfort, safety, cargo space, reliability, horsepower, vehicle size, off-road capability, style, and handling. And even consumers who plan to buy a SUV still want their next vehicle to have better fuel economy. In fact, every segment based on consumers’ current vehicle type (small, midsize, large, and pick-up truck) identified fuel economy as the number one attribute that needs improvement. This isn’t surprising, given that higher fuel economy is correlated with higher ownership satisfaction. The survey findings also show that strong majorities of Americans believe increasing fuel efficiency is important (84%) and that the government should continue to set standards for higher fuel economy in cars and trucks (70%) – a belief supported by majorities of both Republicans and Democrats. In comments filed today, Consumers Union notes that EPA’s proposed determination is based on extensive technical analysis that found the standards, first proposed in 2012, to be achievable and cost-effective. A multi-agency technical report released in July found that automakers are developing and deploying new and improved technologies at an impressive rate; these technologies are helping automakers beat existing fuel economy standards, all the while achieving record sales and high profits; and deployment of these technologies means automakers are on the path to achieve the 2025 standards at a lower cost than initially estimated. And according to EPA’s latest trends report, larger vehicles are improving at the fastest rate. “Automakers are already outpacing the current fuel efficiency standards, all while achieving record sales and ever-increasing profits. By finalizing these standards, EPA will provide automakers the certainty they need to continue building the efficient fleet that consumers want and expect,” said Baker-Branstetter.